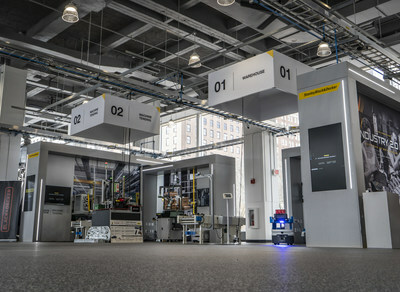 Stanley Black & Decker Opens State-of-the-Art Advanced Manufacturing Center of Excellence in Hartford, Conn.
NEW BRITAIN, Conn., April 11, 2019 — (PRNewswire) — Stanley Black & Decker (NYSE: SWK) today announced the opening of its 23,000-square-foot Advanced Manufacturing Center of Excellence, called "Manufactory 4.0," in downtown Hartford at One Constitution Plaza. 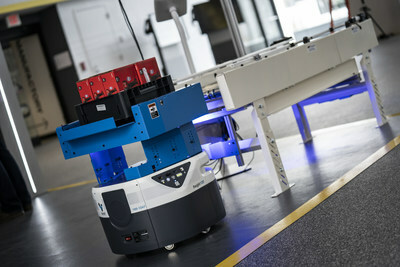 The state-of-the-art facility will serve as the epicenter for the company's global Industry 4.0 "smart factory" initiative, housing a team of approximately 50 Industry 4.0 experts focused on accelerating the company's adoption of advanced manufacturing technologies and building upskilling programs to help prepare the company's workforce for the digital-led manufacturing environment. The site will focus on three value streams including Connected Factory, Flexible Automation and Advanced Analytics. The center will also be an innovation hub for the local region, helping Hartford continue its evolution as a leading market for advanced manufacturing in the United States. For example, the Manufactory 4.0 is the home of the company's STANLEY+Techstars additive manufacturing accelerator program, which is bringing some of the world's most exciting advanced manufacturing startups to the city of Hartford. 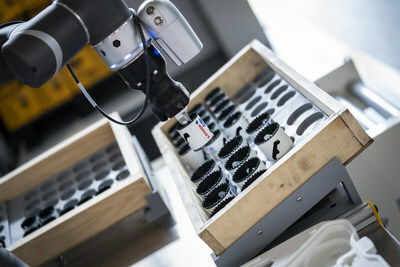 "We are living in an era where the impact of technology has begun to exceed the ability of society to absorb the pace of change, and to succeed, companies and individuals need to be able to expand their capacity to absorb rapid change and adapt faster than ever before," said Stanley Black & Decker President and CEO Jim Loree. "Our new Manufactory 4.0 center will serve as the heartbeat of our company's Industry 4.0 efforts, helping our manufacturing operations rapidly adopt leading-edge technologies and ensuring our global workforce is prepared for this new world through upskilling and re-skilling efforts." To commemorate the new center's opening, Stanley Black & Decker is hosting a ribbon-cutting ceremony at 11 a.m. today, which features remarks by Loree, Connecticut Governor Ned Lamont and Hartford Mayor Luke Bronin. "We're also proud to build this facility in Connecticut, where our founder Frederick Stanley opened his first Bolt Manufactory more than 175 years ago," Loree said. "Through collaboration with local partners, the Manufactory 4.0 center can help build on the state's manufacturing legacy and establish it as a leading hub for the Fourth Industrial Revolution. We chose Hartford because we see the potential for revitalization in this city and state." "Connecticut has some of the best educational institutions in the nation and we've specifically been tailoring the curriculum at our schools so that innovative, advanced manufacturing companies like Stanley Black & Decker have a talent pool of workers available to them in order to compete in a world-class, 21st century market," Governor Ned Lamont said. "We're proud that generations of Connecticut workers have been employed by the company and remain committed to working with them so that many more generations of our state's residents can consider themselves a part of the Stanley Black & Decker family." "Stanley Black & Decker made a big statement about Hartford's future when it launched an additive manufacturing accelerator last year, and today's announcement is another major step toward making our Capital City a hub for innovation in our core industries," said Mayor Luke Bronin. "Hartford was at the forefront of the 19th century's industrial revolution, and today a global manufacturing leader made Hartford the center of its work to reinvent manufacturing for the 21st century. I want to thank Jim and the entire team at Stanley Black & Decker for their vision and commitment to Hartford. We are very grateful for their partnership." The event will highlight examples of Stanley Black & Decker's Industry 4.0 success to date, including how the company has improved collaboration between humans and automated technology, leveraged connected machines to improve how plants collaborate and problem solve, and utilized analytics to improve productivity and expand its U.S. manufacturing base. 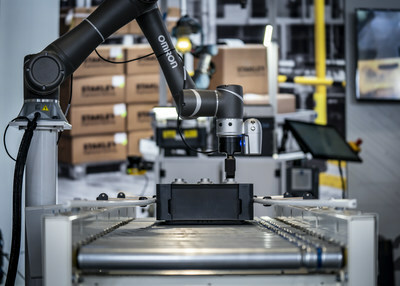 "The opening of our world-class Manufactory 4.0 facility is an important part of our commitment to becoming a global leader in advanced manufacturing – both in terms of enabling our own company's Industry 4.0 evolution and enabling innovation across the industry," said Sudhi Bangalore, vice president of Industry 4.0 at Stanley Black & Decker. "From this center of excellence, we'll be able to more rapidly test and deploy technologies at our many manufacturing facilities and deeply engage with a wide range of public and private partners." Stanley Black & Decker currently operates approximately 30 manufacturing facilities in the United States, including three in Connecticut, with more than 100 manufacturing facilities globally. The company has three locations designated as "Lighthouse Factories" that have partially implemented Industry 4.0 across their facilities from manufacturing execution systems (MES), to 3-D printing, virtual reality and artificial intelligence. With the support of the Manufactory 4.0 initiatives, the company plans to update an additional 25 facilities to "Lighthouse Factories" by the end of the year. For more information on Stanley Black & Decker or its Industry 4.0 initiatives, visit stanleyblackanddecker.com. Stanley Black & Decker is a $14 billion revenue, purpose-driven industrial organization. Stanley Black & Decker has 61,000 employees in more than 60 countries and operates the world's largest tools and storage business, the world's second largest commercial electronic security services company, a leading engineered fastening business as well as Oil & Gas and Infrastructure businesses. The company's iconic brands include Black & Decker, Bostitch, CRAFTSMAN, DEWALT, FACOM, Irwin, Lenox, Porter Cable and Stanley. Stanley Black & Decker is a company for the makers and innovators, the craftsmen and the caregivers, and those doing the hard work to make the world a better place. Learn more at www.stanleyblackanddecker.com.